Mont Amoena Female Seminary listed as customer in Haines Bros. 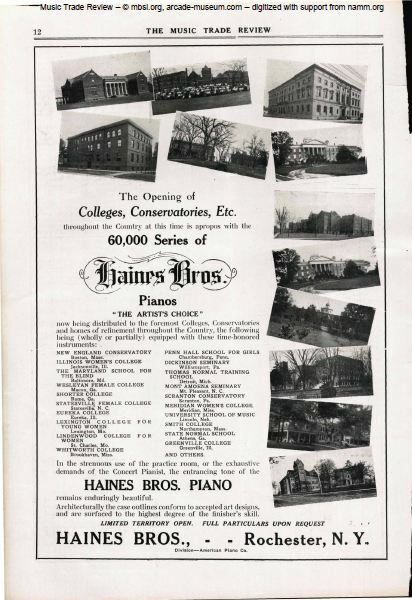 Piano Advertisement. © 1995-2016 by The International Arcade Museum®. All rights reserved. Portions © 2009-2016 by The International Arcade Museum Library, Inc. This entry was posted in 1910s, Artifact, Cultural History, Uncategorized and tagged 1910s, Artifact, Cultural History. Bookmark the permalink.